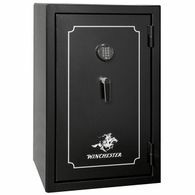 The unit must resist at least 5 minutes of attack using tools such as: hammers, chisels, adjustable wrenches, pry bars, punches and screwdrivers. 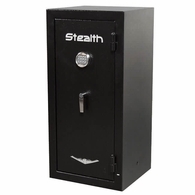 Parameters: The hammers are not to exceed 3 pounds in head weight, and no tool is to exceed 18 inches in length. 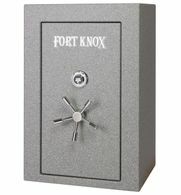 The product under test is to be mounted securely in its intended position, and the attack is to be carried out by one operator. 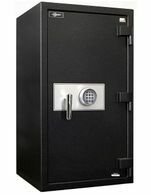 Underwriters Laboratories (UL) is a global independent safety science company with more than a century of expertise innovating safety solutions from the public adoption of electricity to new breakthroughs in sustainability, renewable energy and nanotechnology. 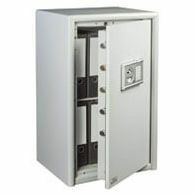 Dedicated to promoting safe living and working environments, UL helps safeguard people, products and places in important ways, facilitating trade and providing peace of mind. 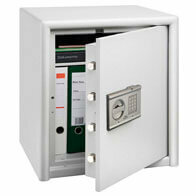 How Does Underwriter's Laboratories (UL) Test 350 degrees F Two-Hour Fire Label Safes? 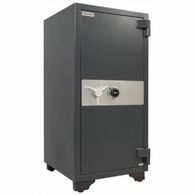 The UL Class 350 degree F two-hour safe will maintain an interior temperature less than 350 degree F when exposed to fire for a period of two hours at 1850 degrees F. To earn this stringent UL rating, the safe must successfully pass all requirements for the Fire Endurance Test, Explosion Hazard Test and the Fire/Impact Test listed below. 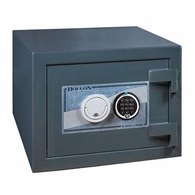 First, heat sensors and paper are placed inside the safe. 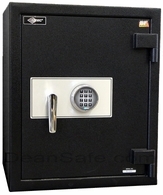 Then the safe is locked and surrounded on all sides by fire in a carefully calibrated testing furnace. 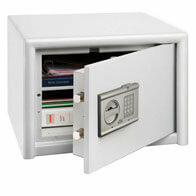 The furnace is regulated to reach a temperature of 1850 degrees F for two full hours. 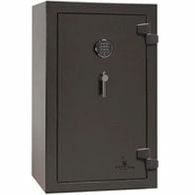 Then the safe is allowed to cool without opening the furnace. 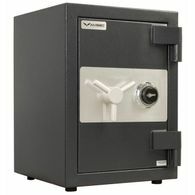 The interior temperature within the safe is continuously recorded throughout the test and during the cooling period until a definite drop is shown. 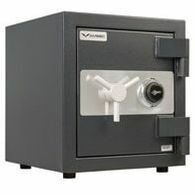 To pass the UL fire endurance test, the safe's internal temperature must never exceed 350 degrees F.
Once cooled, the unit is opened and examined for usability. 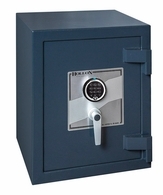 The unit's locking mechanisms and parts fastenings are examined for security and the interior examined for visible evidence of undue heat transmission. 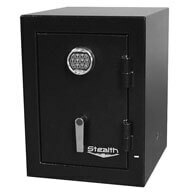 The safe is locked and placed into a testing furnace preheated to 2000 degrees F. This temperature is maintained for 45 minutes. 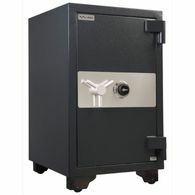 If no explosion results, the unit is allowed to cool without opening the furnace doors. 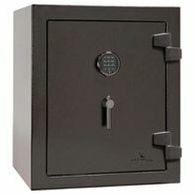 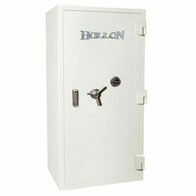 Once cooled, the safe is opened and examined for usability. 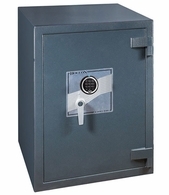 The safe's locking mechanisms and parts fastenings are examined for security and the interior examined for visible evidence of undue heat transmission. 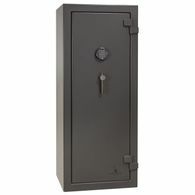 After the explosion hazard test, the safe is removed from the furnace and within two minutes is dropped thirty feet onto a riprap of brick on a heavy concrete base. 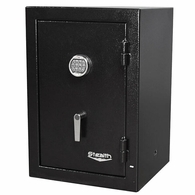 After impact, the safe is examined for deformation, rupture of parts, damaged insulation and any other openings into the interior of the safe. 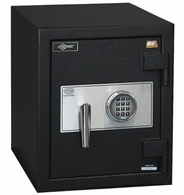 Once cooled, the safe is inverted and reheated to 1550 degrees F for a period of 45 minutes. 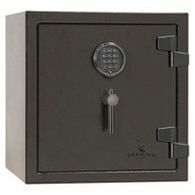 Again, once cooled, the safe is opened and examined for usability. 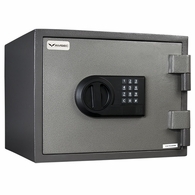 The safe's locking mechanisms and parts fastenings are examined for security and the interior examined for visible evidence of undo heat transmission. 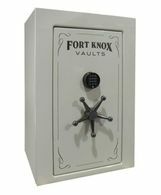 The word "fireproof" is thrown around a whole lot. 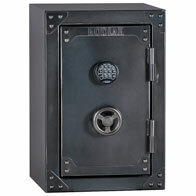 And many safe companies call their safes "fire rated" - but they're using some rating system they've made up themselves! 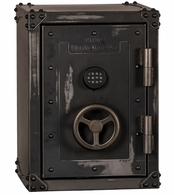 That's not the case with an Underwriters Laboratories fire, impact or explosion rating. 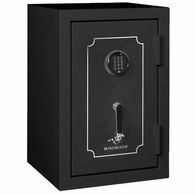 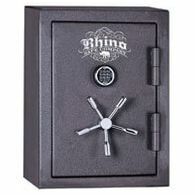 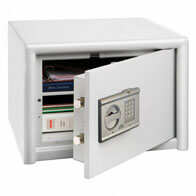 A UL rating means the safe can be counted on to protect your heirlooms, vital documents and weapons. 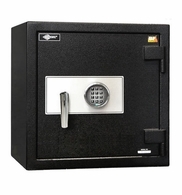 PLEASE NOTE: The ECB-S (European Certification Board - Security Systems) is equivalent to the UL (Underwriters Laboratories) in the United States.